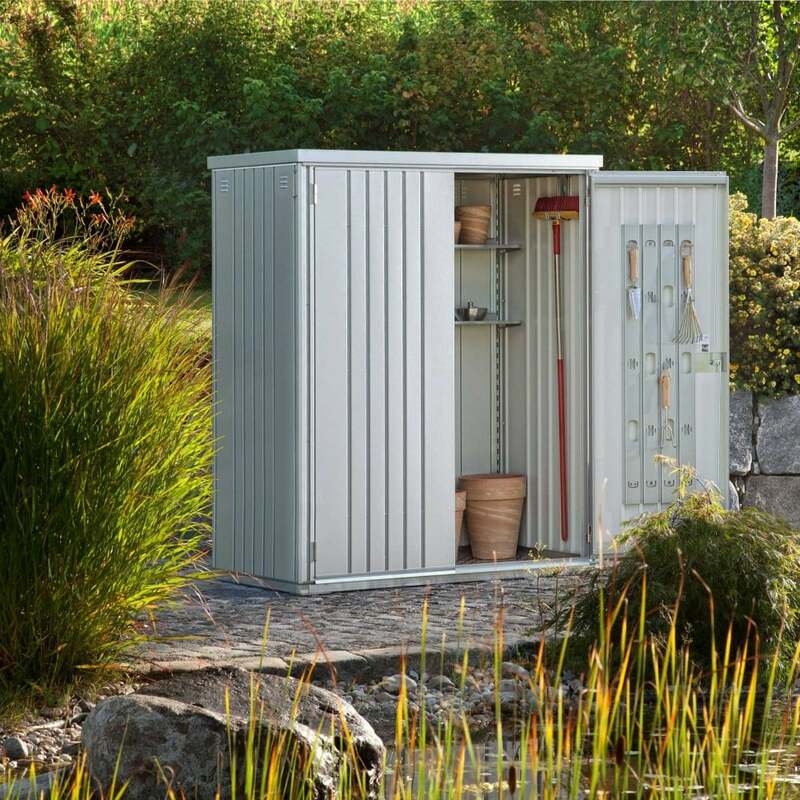 Storemore Equipment Locker 150: This medium sized equipment locker is ideal for storing garden tools and equipment in. There are a number useful accessories that can be used in the shed such as extra shelves and further tool hooks to ensure you tools are in pristine condition. The heavy duty galvanised steel ensures that the unit is robust and remains rust free. The product has a 2 way lock to prevent unauthorised access to the storage area and the integrated shelf and tool hanger are useful to organise your equipment.